As you stroll around the Flint House grounds, try to imagine what it was like as a working broomcorn farm. This is the only photo we have of the barns behind the house. 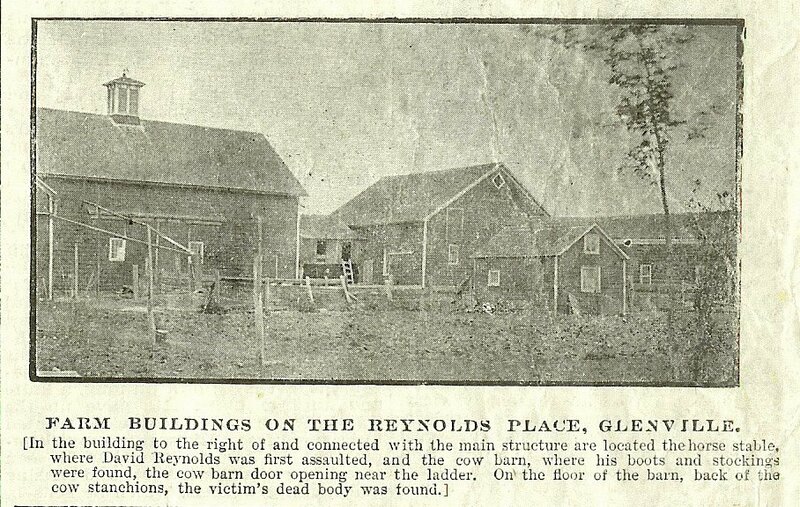 It was in the Saturday Globe, Utica, May 1901, with the story of the David Reynolds murder. The caption tells some of the details.